Habitat by Richmark is a collection of curtains featuring updated styling and fabrics for today's living. As unique as one's personality, these curtains blend into contemporary or traditional decor.Boucle sheer tailored panel. Habitat by Richmark is a collection of curtains featuring updated styling and fabrics for today's living. As unique as one's personality, these curtains blend into contemporary or traditional decor.Modern woven stripes semi-sheer grommet panel. Habitat by Richmark is a collection of curtains featuring updated styling and fabrics for today's living. As unique as one's personality, these curtains blend into contemporary or traditional decor. Crushed textured pole top panel. 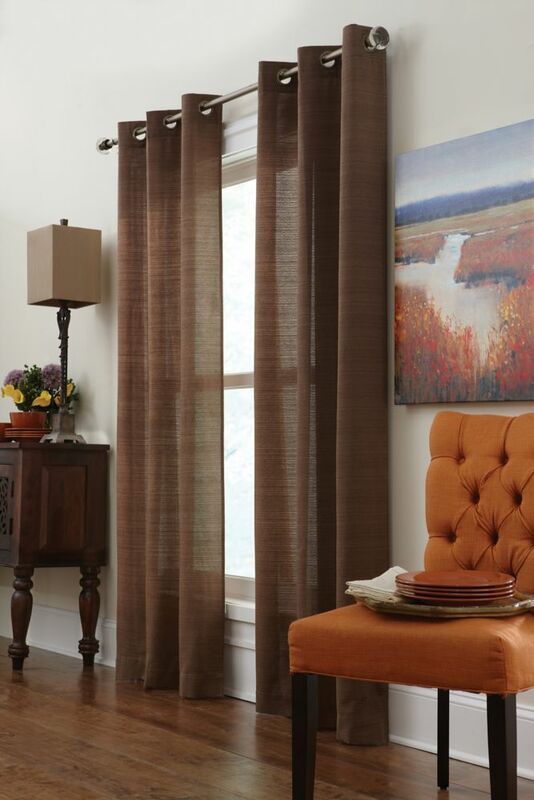 Add a contemporary yet elegant window curtain treatment to your home with this beautifully printed 52 in. x 84 in. Home Decorators Collection window curtain. This window panel is machine washable making it easy to care for. The fabric is a beautiful soft Poly/Cotton that will drape wonderfully on your window. This Curtain is also available in additional sizes.